The project will be delivered in phases, with the cafeteria area due to open first in early 2017. 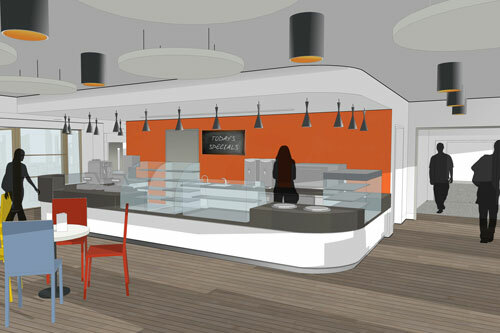 Until this opening, catering services provided to staff in The Hive will be relocated to the Staff Common Room in Tait. This is an exciting and extensive set of developments and will require significant demolition. We will schedule this during the quieter summer months in 2016.